Delivery charges vary with respect to the size and weight of your order as well as your chosen delivery address. For a precise delivery quote: place the things you intend to order in your shopping cart software, proceed to the checkout or SHOPPING CART SOFTWARE overview page. There's a ‘Calculate Delivery’ calculator under your selected products. Simply enter the postcode or suburb of your shipping address and choose the relevant location from the dropdown list that appears and click on the ‘Go’ button. The delivery cost calculator will screen the full total cost for delivery to your chosen postcode or suburb. Your final shipping charges will be displayed in your checkout page before you check out payment so you know how much shipping will be. All prices are in Australian Dollars and freight costs are payable as well as the product price. MAVRIC offers a trusted and affordable delivery service to all or any metro and regional all over the world. Orders will take between 2 - 30 business days to reach, depending on your destination and shipping method. Please note our couriers do not are powered by weekends or open public holidays. Please be ready for minor delays to your delivery around Xmas, Easter and community holidays..
MAVRIC use courier services to deliver your order and for that reason you must supply a address as PO boxes are unable to be sent to. Much like most delivery services, the couriers that will deliver your order don't have a typical or set time of your day that goods are delivered. Your order will be shipped on Weekdays only from Mon to Friday and generally only during business hours 8am-6pm. Throughout your checkout process you will see a particular delivery instructions comment box if you have any special demands. Please be aware: not absolutely all requests can be produced, however we will attempt to ensure we offer the best service we can. If you're not home when the courier attempts to provide your order they'll typically leave an email or calling card. This calling cards usually provides the details had a need to contact the courier to set up the right re-delivery date. The courier will try to deliver your order 2 times however if for just about any reason you don't contact them and/ or they cannot contact you, the delivery may be returned to us. If came back, we will contact you and either arrange another delivery (at yet another cost for you), or we will arrange a refund of the order value less any incurred delivery costs. MAVRIC online orders will need from 2 - 35 business times to reach, depending on destination and delivery method. Metro orders are usually received within five business days or more to ten days for local and rural areas. Delivery times may be at the mercy of stock availability and Community Holidays, therefore receipt of orders may be prolonged by up to 21 times. 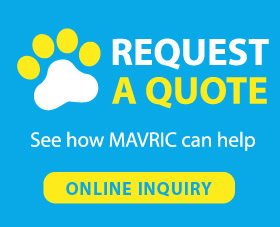 MAVRIC will notify you whenever your order has been dispatched.